IT is an industry which is evolving with time. Every day something new is getting introduced in this field. In order to keep pace with all these changes, you need to keep yourself updated. The best way of doing so is to opt for certifications. One such certification is CompTIA A+ Certificate. Now, without wasting time, scroll down and explore the nine reasons that will help you understand the importance of CompTIA A+ certification for you as an IT professional. In any other field, you opt for higher education to improve your future career prospects. For instance, if you are a lecturer you go for a doctorate, Post-doctorate, etc. to enhance your qualifications for further promotions. Similarly, in Information Technology, you do different certifications that certify you are competent to perform certain tasks. CompTIA A+ is also one of the certifications that make it clear to the employer that you have an in-depth understanding of the basics of computer hardware and software. This way you are able to get better career opportunities in reputed IT companies. Once you become certified, it becomes clear to your employer that you are a valuable asset to their company. This certification validates your expertise and the employer wants to reward you with a salary hike. Even you can easily switch a job, as this certification is considered as an essential requirement in this industry for the jobs of PC computer service technicians. In order to pass the exam, you need to learn a lot about the fundamental things related to a wide range of devices, such as computers, smartphones, etc. CompTIA A+ certifies that you have appropriate knowledge for an entry-level PC computer service professional. This means that you know how to install, maintain, customize, and operate different personal computers. Furthermore, since this test is performance-based, so you need to acquire an in-depth knowledge of all these things to pass the exam. 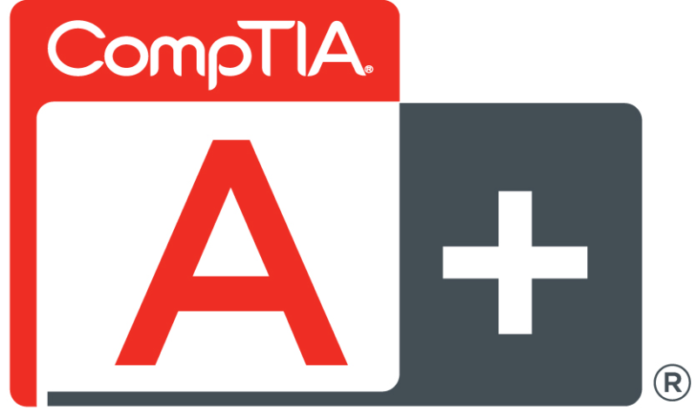 Passing CompTIA A+ exam and becoming certified is just one step of CompTIA A+ Certification. In order to hold this certification, you must retake the A+ test after every three years and renew this certification. Interestingly, this helps profusely in keeping you updated with the advancements in the field of computer hardware and software installations, maintenance, and troubleshooting. CompTIA A+ certification does not bind you and is not restricted to any particular place. Holding ISO/ANSI accreditation status, CompTIA A+ certification is internationally recognized. This gives you a chance to get absorbed in any IT company in the world. Furthermore, the certification is not focused on a particular vendor hardware and software. This way it gives you an opportunity to enhance your foundational tech knowledge and get familiarized with the technical vocabulary that you need in your career. With CompTIA A+, you may also make a career in popular fields, such as computer networking, cyber security, etc. in any vendor environment.